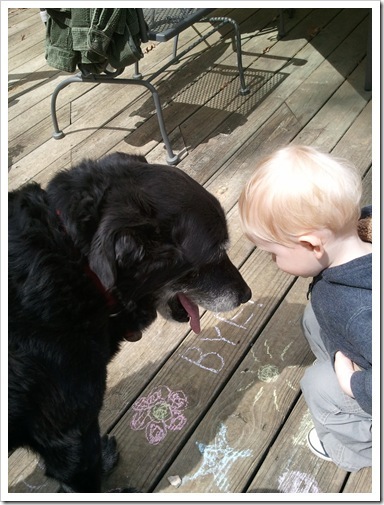 This past weekend we had to say goodbye one of our dearest friends. 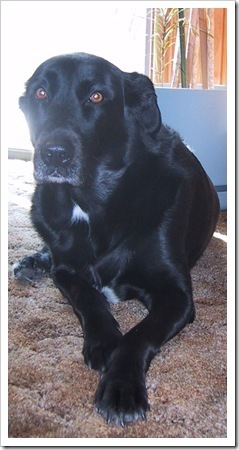 Our old girl Roxy would have turned 16 this August, but her body was really showing her age in dog years if you know what I mean. Luckily she had the energy for one last romp in the yard on MLK day, chasing golf balls as my husband chipped them around for her. She seemed her usual self, albeit pretty old and semi-crippled, but still able to let her inner puppy out when that felt natural. 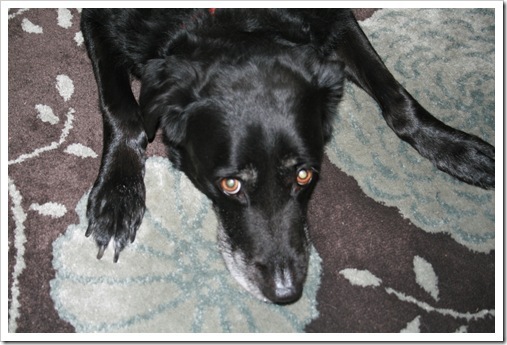 Unfortunately, things quickly took a turn for the worse as her arthritis plagued body just gave up. Saying goodbye is quite possibly one of the hardest things I have ever had to do, seeing as how she was my constant companion for all those years. Seeing her suffer was worse. 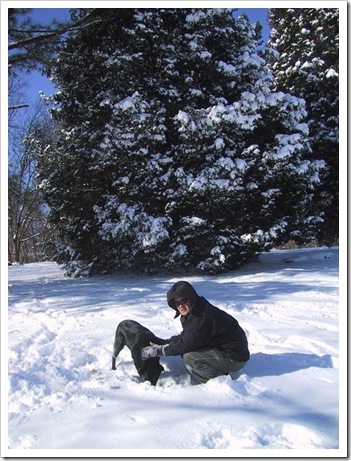 The mister and Roxy enjoying one of the biggest snowfalls we ever had in Nashville, TN. 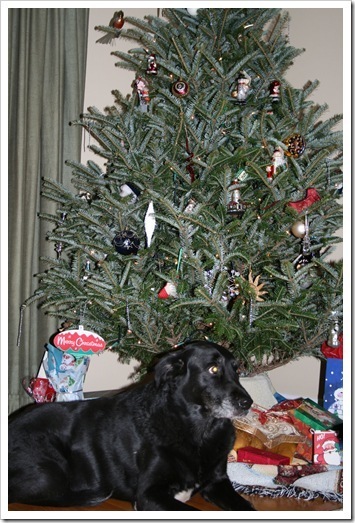 She always posed with our Christmas tree, circa 2007. For these two it was true love from first sight! We will miss you Roxy! You can never be replaced. Here’s to chasing balls in heaven! Or small dog, if that is your experience. Every time I make the bed someone wants to sit right in the middle of the progress until he is almost buried alive. Then he does a dramatic pop-out as though I was totally unaware of his hiding spot. Gotta love it!